Welcome to the world of boerewors. Boerewors means farmer's sausage. It is a popular South African sausage that elicits many prideful feelings and emotions in the locals of this region. A variation of this sausage can be found in neighboring communities. 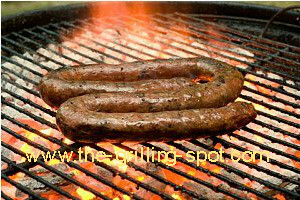 Boerewors is popularly prepared in all seasons and for all types of functions, occasions and activities. It looks like a sausage coil and is loosely based on an older traditional Dutch sausage called verse worst. 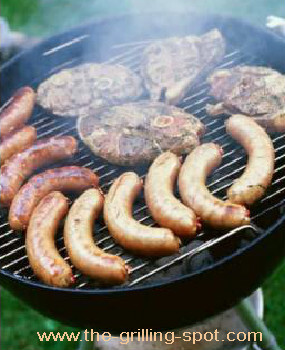 During national holidays and many other celebrations, braaing boerewors is a common outdoor activity. 'Braaing' is the Afrikaans' word for barbecuing or grilling. Meat is the undisputed King of the Braai. Braai is used as a noun to refer to the whole cooking setup or the actual cookout. The whole concept of braai has been adopted by English-speaking South Africans and by others with diverse ethnic backgrounds. Braaing is also a social custom and tradition in other neighboring countries like Botswana, Namibia, Lesotho in the South and even Zimbabwe and Zambia further North. In South Africa, they have an annual braai holiday in September. A variation in the name of the same grilling activity exists as you move further away from the braai epicenter, South Africa. Delicious wafting smells of a boerewors braai will regularly accost you, especially over the weekends. The weather is very forgiving and there is sufficient sunny weather in the long summer months to support the braaing of boerewors. On these days, get ready for men with their naked bopens or beer-belly sticking over their shorts as they tend the boerewors braai. Its mostly men around the braai, tongs in hand cooking, slikking back, um drinking, a Castle, Lion or Windhoek Lager. It's the women who sit in the shade nattering away and skinnering or gossiping after having prepared the lekker or tasty and delicious side dishes that go along with boerewors. Be careful because it does not mean that that the women do not have an ace up their sleeve! They have their own secret Boerewors recipe and they can braai it well too! Braaivleis is Afrikaans for "grilled meat." Take note, everyone has their own favorite way of preparing boerewors and braaing it. For the most part, all the ingredients down to the mincing or grinding of the meat is done from scratch. This is the beauty of boerewors, from the grind up - I mean, ground up, using your favorite ingredients. 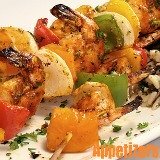 A well preferred mix of different ingredients go into the meat itself, and, because the meat is ground or minced, you can pretty much customize it by mixing and matching the meats and spices that go into it to enchant your taste buds. 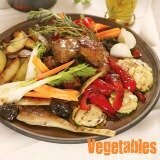 Boerewors is one of those food items that everyone has their own special recipe for. Different spices and herbs, different meat combo ingredients. The recipes can be very personal and can even have a name that points to the creator or maker of that particular boerewors. Whether its Oom Piets boerewors - Uncle Petes, or Tannie Marie's boerewors - Aunty Mary's, South Africans fall in love with, and, look for their favorites, often made famous at some or other braaivleis fest where bragging rights are huge! 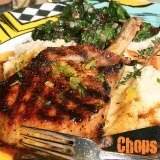 The 'ingredients' for the meat may include - top side beef, sometimes a melange of ground pork and lamb, pork strap or neck smoked speck, white speck. The powder spices could include toasted coriander seed, black pepper, cloves and nutmeg. Boerewors is coarsely ground with high fat proportions from white speck, traditionally added for its unique bacon and ham flavor. It is preserved with salt and vinegar and packed in collagen sausage casings. Collagen casings are durable, yet tender. Traditional boerewors is usually formed into a continuous spiral, like a super-long sausage! There are two popular boerewors side dishes. To start, we have toebroodjies, which means 'closed bread', something South Africans love to pop on the braai. Toebroodjies are sandwiches with anything plus cheese on them. The exterior is brushed with olive oil or lightly with butter. Just sinful, I know! Make the best starters to munch on while you sit around waiting for the main event. Toebroodjies constitute a very versatile side dish. You can add any of your favorite fillings in them. Just make sure to add some cheese to bind them all together. The World Record for the longest Boerewors is held in South Africa. It stands at 1688ft (514.5m) and weighed 926lbs (420kg)! Crazy! Another very popular side dish is pap. Good old pap is a traditional porridge made from mielie-meal ground corn, also known as maize or other grain. Pap is an Afrikaans derivative of porridge in Dutch. Pap is a staple food of the Bantu people of South Africa and may be eaten with a tomato, onion sauce, monkey gland sauce or the more spicy chakalaka at the braai. Many real traditional South African dishes include pap, such as smooth maize meal porridge - also called slap pap. Sometimes pap is prepared with a very thick consistency that can be held in the palm of your hand called stywe pap and a more dry and crumbly pap called phutu pap. Such traditional dishes are enjoyed primarily by the indigenous black population and the Afrikaner population, rather than those of English or South Asian descent, although others want in on the action too!. Corn is to America as maize is to Africa. A yellow kernel in America but a white one in Africa, grown and used as a meal. It is similar to Italian polenta or American grits except that it is usually made of a white rather than a yellow maize variety. As you can see, there are many vayerities, I mean varieties of pap. Take your pick and enjoy your boerewors! Wood has been the main fuel for the braaing boerewors, the use of charcoal and briquettes has greatly increased. Gas was never known to be used for braaing boerewors. It is now common for the braai to benefit from the convenience of gas as opposed to the historical open flame. The open flame is the majority's favorite fuel. Now, even electric burners are used to prepare boerewors. It is not uncommon to prepare a this sausage in the oven. There is a hotdog that is prepared with the boerewors sausage. It is called a boerie roll or just a boerewors roll. The grilled sausage is placed in a hotdog roll or a bun. It is served with a tomato and onion relish. Yum! Other varieties of the boerewors are the garlic wors, kameeldoring or camel thorn, karoowors, a type of sausage from Karoo, a region in South Africa. We also have the spekwors. It is made with more fat from a pork grind. What a fun sausage filled with good flavor and a rich time-tested cultural heritage. Now you can try it and savor the flavors!